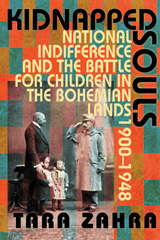 The University of Notre Dame’s Nanovic Institute for European Studies is pleased to announce that Tara Zahra has been awarded the $10,000 Laura Shannon Prize in Contemporary European Studies for her book “Kidnapped Souls: National Indifference and the Battle for Children in the Bohemian Lands 1900-1948,” published by Cornell University Press (2008). The Shannon Prize is presented annually to the author of the best book in European studies that transcends a focus on any one country, state or people to stimulate new ways of thinking about contemporary Europe as a whole, and rotates between the humanities and history and social sciences. This is the inaugural award for the history and social sciences cycle, which judged nominated books published in 2008 and 2009. The final jury was composed of Nancy Bermeo, Nuffield Professor of Comparative Politics, Nuffield College, University of Oxford; Laura Engelstein, Henry S. McNeil Professor of History, Yale University; Felipe Fernández-Armesto, William P. Reynolds Professor of History, Notre Dame; James Sheehan, Dickason Professor in the Humanities, Emeritus, Stanford University; Catherine H. Zuckert, Nancy Reeves Dreux Professor of Political Science, Notre Dame. Zahra will accept the award and present a lecture in the fall semester of 2011 at Notre Dame. Zahra is assistant professor of history at the University of Chicago (associate professor as of July 2011), where she has been teaching the history of modern Central and Eastern Europe since 2007. 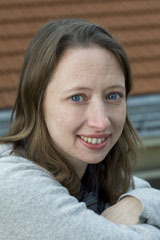 Her research focuses on transnational approaches to the history of modern Europe. She aims to challenge nationalist approaches to European history, and to integrate the history of Eastern Europe into broader histories of Europe and the world. Recent work has focused on the history of nationalism, the family, displacement and international humanitarianism in the 20th century. Before coming to Chicago, she was a junior fellow in the Harvard Society of Fellows, and completed her Ph.D. in history at the University of Michigan. Her next book, “The Lost Children: Reconstructing Europe’s Families after World War II,” is forthcoming in 2011. The Shannon Prize jury also awarded honorable mention to Mary Elise Sarotte for her book “1989: The Struggle to Create Post-Cold War Europe,” Princeton University Press (2009). The Nanovic Institute is committed to enriching the intellectual culture of Notre Dame by creating an integrated, interdisciplinary home for students and faculty to explore the evolving ideas, cultures, beliefs and institutions that shape Europe today. For additional information about the Nanovic Institute, the Shannon Prize, and the authors, please see nanovic.nd.edu. Originally published by Monica Caro at nanovic.nd.edu on February 15, 2011.